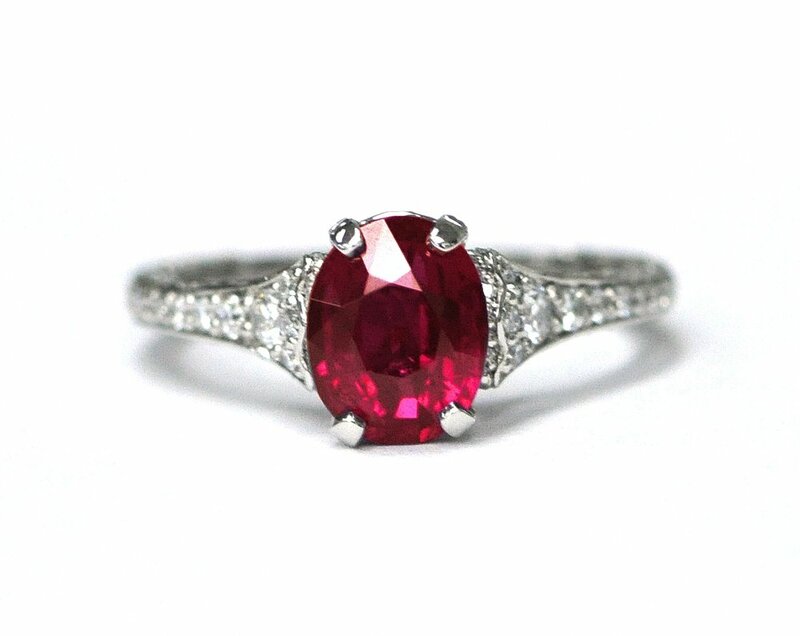 Important Information: Unheated Mozambique Ruby. GIA Certified and Fluorescent. 70 Accent Diamonds weighing 0.89cts.